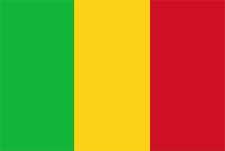 Mali, authentically the “Republic of Mali” is a average area country located in northwest Africa. The country is known for its diverse geographical features, wildlife, culture, traditions, and ethics. The country is physically landlocked and is bordered by other African Nations of Guinea towards the Southwest, Algeria towards the Northeast, Senegal, and Mauritania to the West, Burkina Faso and Ivory Coast towards the South, while Niger lies toward its East. The Northern parts of the country feature the Sahara Desert and are extremely hot, this is the reason human and wildlife are negligible in that region. The Southern part of the country feature vegetation and is where most of the country’s population is situated. In addition, the country has rich deposits of various precious minerals e.g. gold, phosphate, uranium, etc. 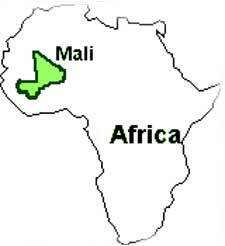 Although, enormous in size and having rich minerals, Mali failed to utilize them properly and is one of the poorest nations in the world. Most of the time it is dependent on foreign aids. The main source of the country’s economy is agriculture sector which is also not properly developed. If proper reforms are introduced and resources are properly utilized, Mali can become one of the prosperous nations in the world. 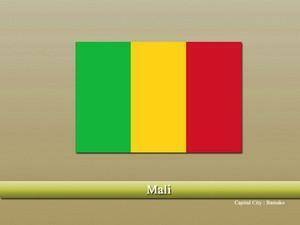 Islam is the largest faith of Mali and 90% of the country’s population had their faith in Islam. French is the official language of the country. Besides French, there are almost forty languages being spoken in the country, and some of which have been declared as national languages. Daughter room as per vastu?